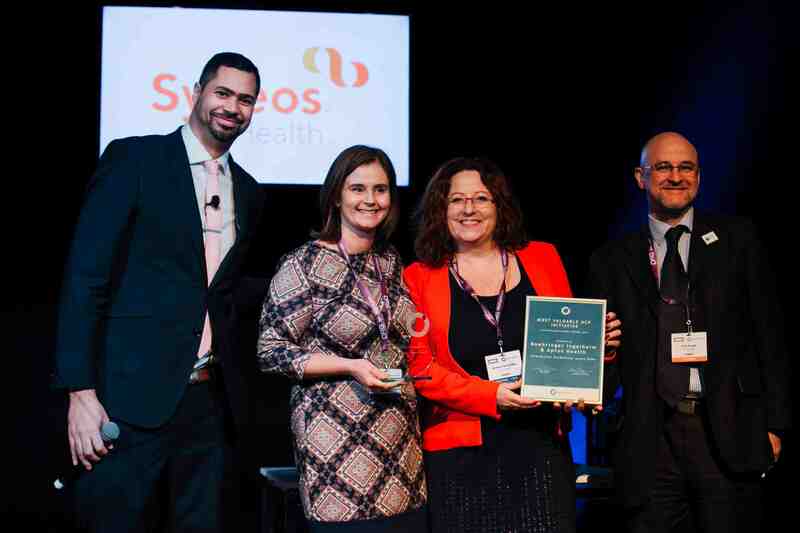 Aptus Health and Boehringer Ingelheim were awarded the "Most Valuable HCP Initiative” at the eyeforpharma Europe Awards 2019. The partnership was selected by a judging panel of pharma industry experts, patients and customers as delivering tangible working and healthcare improvements both in the long and short term. Our winning “Interactive Guidelines Asset: GINA” project has created a way to provide healthcare professionals (HCPs) with a concise summary of the latest Global Institute for Asthma (GINA) recommendations, as well as local treatment guidelines, in an interactive way that is informative and respectful of their busy schedules. The collaboration is striving to empower evidence-based decisions and support HCPs in the daily management of asthma patients. Finalists presented their projects to the independently selected panel of expert judges at the Awards Pitch Day Europe on 11 March in Barcelona. The eyeforpharma awards celebrate positive progress towards value for patients and customers and recognizes those in the pharmaceutical industry that are driving pharma forwards. We celebrate those who aren’t just chasing higher short-term profits, but who are investing in better customer innovation, value and outcomes leading to longer-term success. This is part of eyeforpharma’s mission to make the pharmaceutical industry more open and valued. It is our responsibility to shine a light on where pharma does well, to inspire others into similar or better action.